Networking is one of the most talked about strategies in finding a job which can also be used for finding internships. It is said that up to 85% of jobs are never advertised and we can assume that there are also many internships that are never advertised as well. Networking helps us to uncover those hidden possibilities. 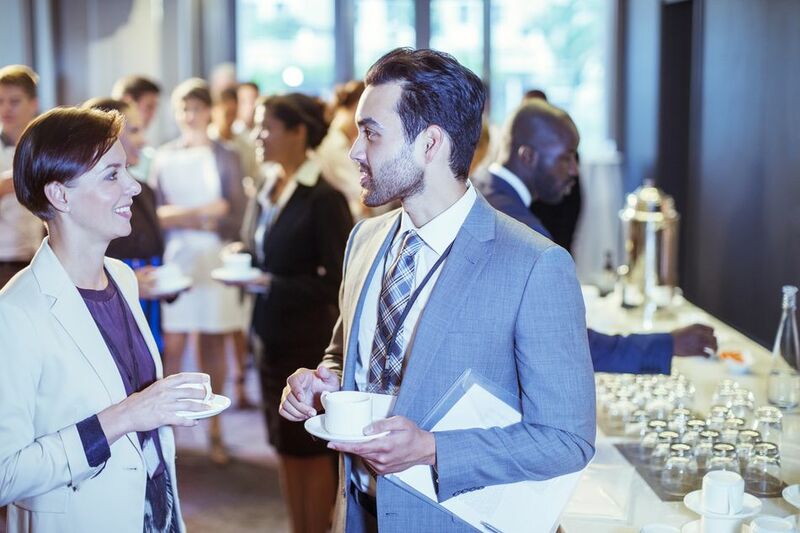 Here are tips for networking that everyone should know. An "elevator speech" gives you an opportunity to provide the most important information about you to everyone you come in contact with. You want a succinct personal introduction to your most important skills, accomplishments, and assets. You will include your college, major, and any relevant facts about your academic interests and motivations in this initial conversation. Previous experience, as well as volunteer and co-curricular pursuits, can also be included. You will also want to include your areas of interest and what type of career you are looking to gain experience in. Begin your internship search by contacting friends, family, faculty, and former employers. These connections might know of existing opportunities or know of people currently working in the career field that is of interest to you. Faculty are a good source to consider when looking for internships since they usually know of other students who have had similar interests to yours and who may have completed internships in the field. Informational interviews are a great way to connect with alumni from your college as well as connecting with professionals currently working in the field. Be sure to prepare a list of questions and ask about any entry-level opportunities that the employer might have available. At the end of the interview, you can ask the interviewer if they know of anyone else in the field that you should be talking to. Career fairs are a way to meet many employers in one day and provide an opportunity to distribute your resume. Be sure to have your "elevator speech" prepared and be ready to follow up with a thank-you note to each interviewer you've spoken to directly. Although you may be just visiting a friend or attending a neighborhood party, take these opportunities to speak with people about areas of interest to you and your interest in finding an internship. Professional associations can provide a new list of contacts for networking. Most associations hold annual conferences where you can learn more about the field as well meet those already working in the field. Associations also provide an opportunity to read publications and trade journals that professionals in the field are currently reading. Many associations offer discount student memberships. For example, the American Management Association offers students an annual membership for $95 versus $225 for professionals. Read everything you can to learn more about the field and to find the types of organizations where people in this field get hired. You also want to find typical job titles that exist. Newspapers, internet job sites such as Monster and Career Builder, offer information on current jobs in the field. This information will be helpful as you connect with people since you will be able to articulate the type of job you are looking to get experience in by participating in an internship. Professionals will be more likely to take an active interest in your search if you have taken the time to do your research. Developing relationships will keep you in the communication loop and provide you with ties to important contacts and key players. By helping others in their development, you will establish mutually beneficial relationships that can exist throughout your career. This is what networking is all about. Show your appreciation by sending thank-you notes when appropriate. Sending thank you notes as a follow up to informational interviews and career fairs is not only courteous but will also create a favorable impression for the employer and may lead to future opportunities within the organization. Maintain your network by keeping in touch with the people you meet and be sure to update them on your progress. This will help ensure an ongoing mutual relationship where networking becomes beneficial to both parties. How Do I Use LinkedIn to Build My Network as a Student?